Greenville About Us - Dr. William W. Brown, Jr. Welcome to Brown Dental Associates! 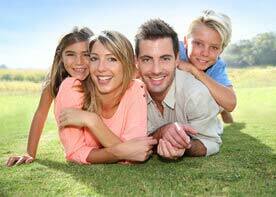 We provide high quality, comfortable dentistry for the whole family. Greenville, SC dentists at Brown Dental Associates and their team are committed to patient-centered and personalized dental care. Our goal is honest, no-pressure diagnosis and treatment planning. We present treatment recommendations and cheerfully leave the final decision to you. We want you to be 100% happy with your experience! Dr. William W. Brown, Jr.
Dr. William Brown has been practicing dentistry in Greenville for almost 25 years. He graduated from Bob Jones University in 1984 and completed four years of dental school at West Virginia School of Dentistry. After getting his degree, he completed a two-year general practice residency at Wake Forest Medical Center in Winston-Salem, NC. Dr. Brown is an active member of the American Dental Association, Academy of General Dentistry, South Carolina Dental Association, and the Dental Organization for Conscious Sedation. 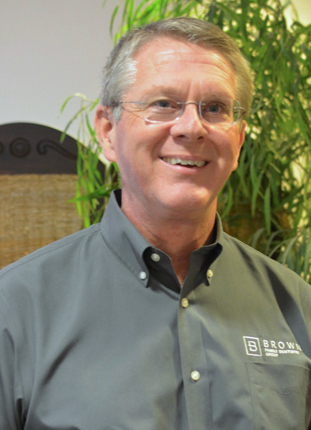 Dr. Bowers joined our team at Brown Dental Associates in July 2015. She is a native of Salisbury, NC and attended Clemson University where she graduated with a B.S. in Psychology and a minor in Biological Sciences. She then attended the Medical University of South Carolina College of Dental Medicine in Charleston, where she earned a Doctor of Dental Medicine degree. Dr. Bowers is a member of the American Dental Association, the South Carolina Dental Association, and the Academy of General Dentists. 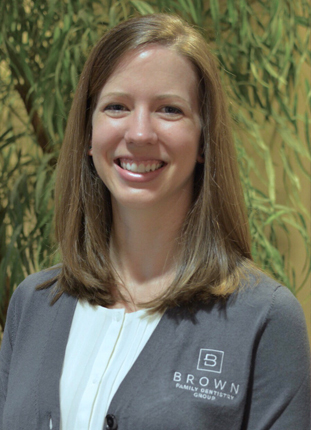 Dr. Bowers has a passion for cosmetic and restorative dentistry, preventive care, and for expanding her knowledge of new technology in the field of dentistry. She enjoys building relationships with her patients and loves helping them achieve healthy, beautiful smiles. Dr. Bowers is married to Dan Bowers, who is a mechanical engineer and Clemson graduate. They have an active baby boy named Henry and a Boston Terrier named Quimby. Together, the family loves spending time outdoors and cheering on their Clemson Tigers! The dentists at Brown Dental Associates work with talented team members who are passionate about what they do. Many of our staff members have been with the practice for many years. We welcome new and regular patients like family. We get to know each patient better and aim to make your dental experience as comfortable, convenient, and pleasant as possible. Don’t hesitate to let us know if you need anything or you have suggestions on how we can improve our service. We are committed to serving you. We believe that our patients deserve the best that modern dentistry has to offer, so we have invested in state-of-the-art techniques and equipment to make procedures faster, more convenient, and more comfortable. Our personalized approach to dental care ensures that your treatment fits your goals, preferences and budget.